But I had to admit that, regardless of my feelings, as a marketing plan, it’s genius. You can easily flood social media with hashtags and ask readers what job they think Matilda would be doing at 30. It helps to create buzz for a thirty-year old book which is no easy thing, even for a book as popular as Roald Dahl’s. It works, too. The Guardian jumped on the bandwagon today with an article in which they asked 6 children’s authors to imagine what they think she’d be doing, and why, based on the original story. I have some ideas myself, and I’m sure you do too, if you’ve read the book. 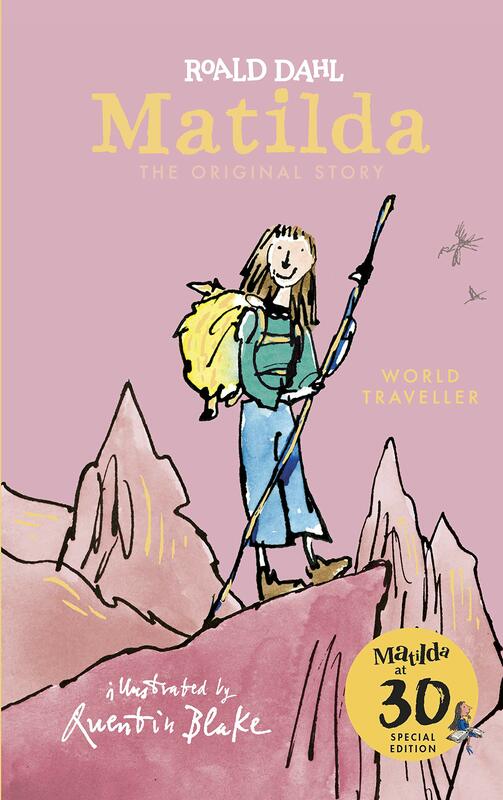 However, it turns out, after some digging, that Quentin Blake has not written stories of Matilda’s life at 30, as I initially thought, that’s not what these releases are – they’re the same story, just with new illustrations on the cover. And I don’t think the marketing actually makes a point of making that at all clear. Something about that doesn’t quite sit right with me… it feels a little… purposefully elusive and, to be honest, a touch opportunistic. Don’t get me wrong, when it comes to anniversary editions and pretty covers, I’m a sucker. But just like I’ve been slowly falling out with the Wizarding World of JK Rowling because of the amount of new editions of the Harry Potter series and its over-inflated film franchise tie-ins, I felt a little bit deflated to find Puffin doing similar with Roald Dahl. It’s unsurprising, given that his stories remain vastly popular, so every decade or so calls for a slightly updated paperback so the new generation of kids can discover his stories anew. And I’m a hypocrite: I bought the pretty new edition of Matilda when it was released in 2016, largely because my original copy from childhood was battered beyond repair. 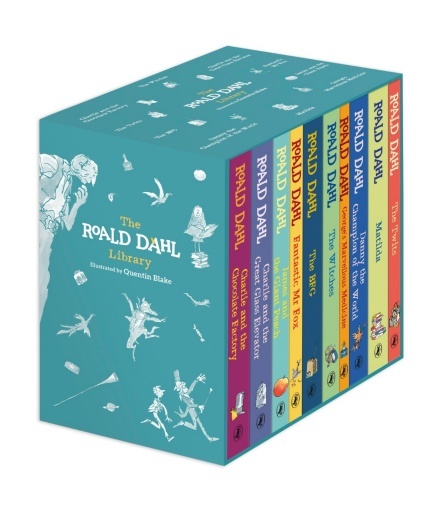 But in 2016 we had a set of Roald Dahl Centenary Editions and now, in 2018, we have yet another anniversary edition. It can’t just be me that thinks that’s a little… overkill? I should be thrilled. 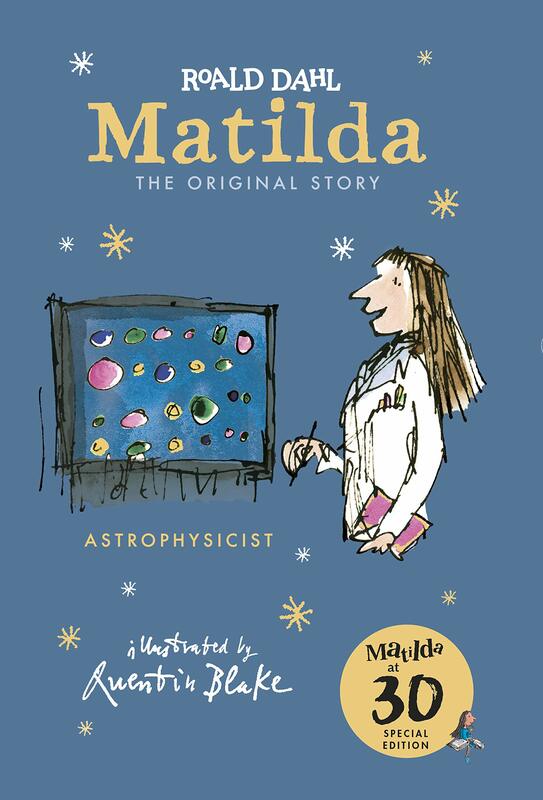 Matilda was (and is, in fact) one of my favourite characters in literature. I looked up to her so much and I can’t deny that a lot of my personality traits were influenced by her. Her passion for reading showed me that it was ok to be bookish, it was ok to like to learn, and it was ok to be yourself even in an environment where people might not have the same values as you. And yet, this Matilda30 project leaves a funny feeling in the pit of my stomach. Because now (just like with whichever Harry Potter edition is most recently released anew) it feels a little money-grabbing. I think my particular sensitivity towards this is largely because it affects childhood favourites. When the sanctity of Harry Potter or Matilda is messed with, I get defensive. I’m all for new editions when they’re warranted, I’m all for repackaging something because it looks dated now, and you think a shiny new cover would attract new readers. And I think a lot of my horror around this is to do with the fact that suddenly I, as an adult, realise that even my shiny nostalgic memories of childhood books can be tainted by “the real world”. Or maybe it’s just because it made me suddenly realise just how much I’ve aged – Matilda is being revamped for a new generation of children. 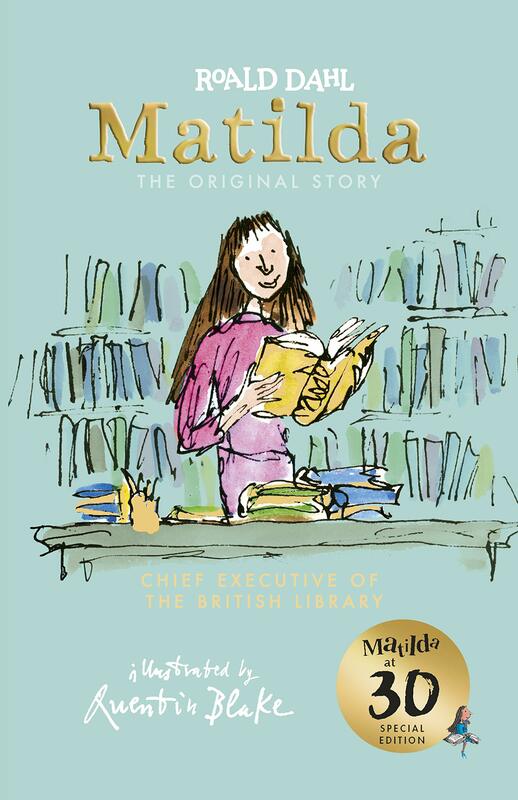 This is the 30th anniversary of Matilda, it’s not unreasonable to think that many of those early readers of the story could have little readers of their own by this point in their lives. Is this really why I’m clutching at “my” Matilda with fierce love? Because the novel holds all kinds of warm and rosy visions of childhood? It makes me feel like, maybe, just maybe, since Matilda will never age, neither will I. This post went in a strangely deep and existential direction that I did not expect! But have you seen the Matilda 30th Anniversary marketing – what do you think of it? Do you get strangely sensitive when your favourite childhood reads are republished (like I seem to) or do you think I’m just being overprotective (and possibly a little selfish)? Are you sick of the endless Harry Potter re-releases?! Let me know in the comments and let’s chat books! I hadn’t heard of this! The marketing itself does seem a little strange, but at the same time it does make sense to re-release a book on such a major anniversary. I do agree that I’m tiring of Harry Potter for the same reasons you mentioned. I had been meaning to do a re-read, but things have been so over saturated with Harry Potter for so long that I don’t really feel like I’ve had enough distance from it to do so without feeling like the story has become stale to me, which is a huge bummer. 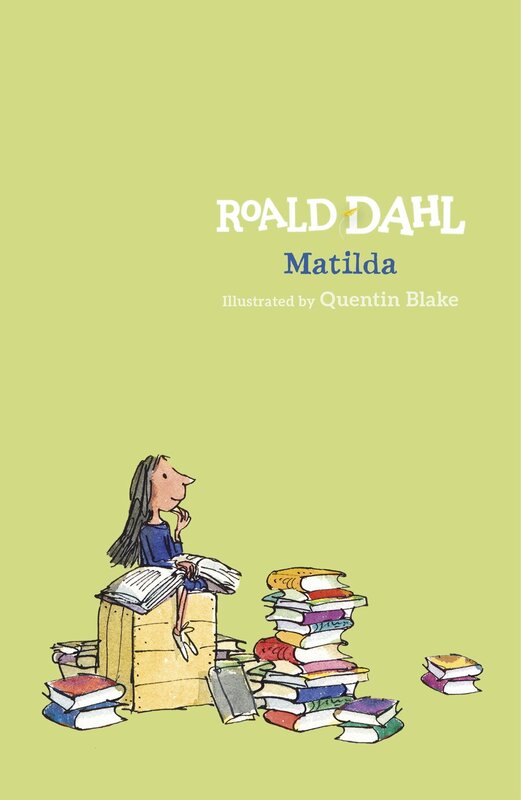 Perhaps it’s because I didn’t know about the 2016 Dahl releases that this Matilda one doesn’t seem like too much to me, personally.